Halls is calling on you to show South Africa how you have been ready-to-go, owning life’s everyday moments. No moment will be considered too big or too small, because with Halls every moment can be invigorated. So whether it is the ‘Missed the bus but still got the job’ Moment, or the ‘Broken heel but slayed the day’ Moment, Halls wants you to tell us about it. 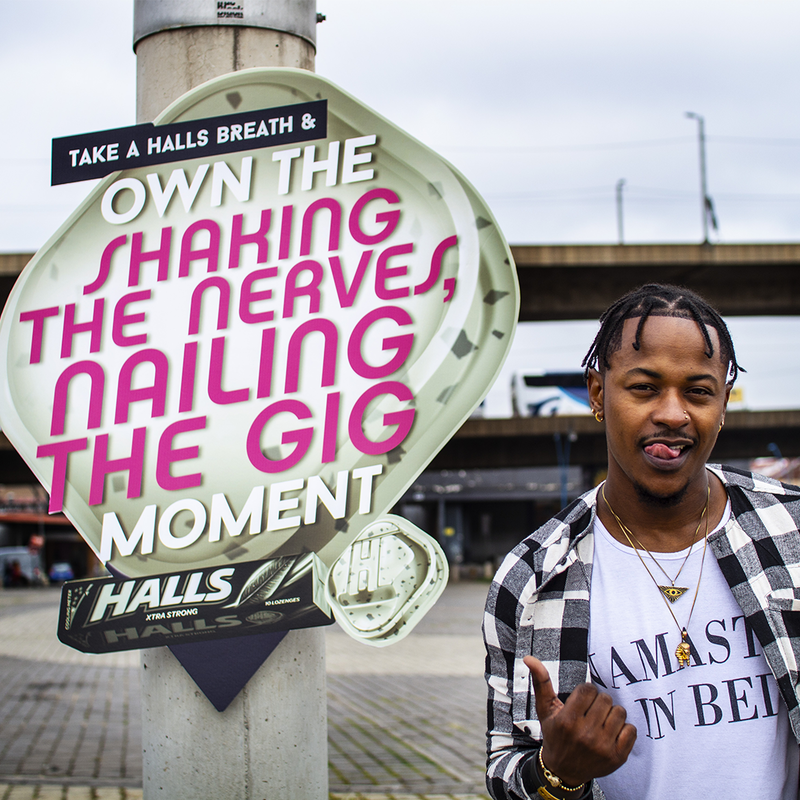 By sharing how you own the moment with Halls you will stand a chance to win R250 000 in cash and if your moment is next level, you could see it come to life as anything from a slick origami sculpture, to a massive graffiti mural created by the country’s hottest street artists. To lead the way, Halls challenged trending celebs to take a Halls breath and OWN THE MOMENT in their everyday lives. Look out to see how Priddy Ugly owns the ‘Shaking the nerves, nailing the gig’ Moment and how Jesse Suntele embraces his ‘Facing the fear & taking the leap’ Moment or how travel blogger Meruschka Govender owned the ‘Switching a briefcase for a backpack’ Moment. All moments are different, however the most invigorating ones start with the cool, menthol burst of Halls. So, for a chance to own the ‘I entered to win R250 000 cash with Halls’ Moment, visit www.ownthemoment.co.za from 16 April to 06 July 2018. Then share your crowning moment through a personalised geotagged meme. Each week the most epic moments will be turned into eye catching art pieces for your city to enjoy. Each time you share a moment online you secure an entry towards winning that dream-delivering cash prize – which would be a pretty OMG Moment, to share! To gain additional entries into the draw for the grand cash prize, from 01 May Halls fans can also enter in-store by buying Halls, dialing *120*1987# from their mobile phones and entering the barcode. “South Africans are proudly known for being ambitious and taking charge of everyday moments in their lives and Halls has had the privilege of being a part of some of these moments over the past few years” says Robin Abrahams, Category Brand Manager for Candy at Mondelez. For more about Take a Halls Breath & Own the Moment, visit the Halls South Africa Facebook page.